Once you have come to our dentist in Dumfries, VA, you have found a general dentist for life. At Dumfries Dental Arts, we provide a wide range of services that includes general, family, cosmetic, and restorative dentistry. Our family dentist is as adept at making your little ones feel comfortable as he is performing implant surgery and providing root canal therapy. Schedule an appointment with our dentist office for the quality services and state-of-the-art dental work you need. 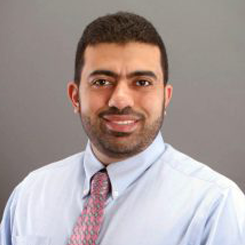 For more than 15 years, Yasser Khedr, DDS, has been offering comprehensive dental services. Earning his dental degree in Cairo, he went on to pursue advanced education in general dentistry from Nova Southeastern University in Fort Lauderdale, Florida. Dr. Khedr is experienced in performing surgical extractions and rotary endodontics, and with fixed and removable dentures, as well as dental implants. He holds memberships in the Academy of General Dentistry and the International Congress of Oral Implantologists. Rest assured that our dentist can provide you with quality care to meet all your dental needs. Dr. Khedr brings a wealth of experience to our dental clinic. His skill and knowledge of all aspects of dentistry enables him to provide you and your family with essential services. On the preventive side, we keep your teeth and gums healthy with checkups and cleanings every six months and we take care of any problems that occur. You or your family members may need fillings for cavities, crowns for a broken tooth, or a bridge to replace a missing one. You may want to restore your teeth with dental implants or dentures. Or, you may want to increase the appeal of your smile with cosmetic procedures, such as whitening, bonding, or veneers. Make an appointment today. We offer a full slate of services for our patients. Ours is a patient-centric practice with a focus on what is important to you. That is why we provide Saturday hours and same-day appointments. To go even further, our dentist is available to you for emergency service. This includes after hours and on weekends. After all, you cannot predict when a dental emergency may occur. One of your children may get a blow to the mouth while playing sports or you may suffer the pain of an abscessed tooth. Call our emergency line 24/7 for service that relieves your suffering. Contact us today for quality service from a dentist with more than 15 years of experience. Our dental practice serves patients in Dumfries, Woodbridge, Triangle, Montclair, and Quantico, Virginia. Monday, Wednesday—Saturday, 8 a.m.–4 p.m.